Power Boater by Trade, Blow Boater by Budget! Dave Bennett grew up in Tennessee, where he learned to sail on a small Sunfish sailboat. He attended the University of Tennessee and Middle Tennessee State before moving to Belize to open a scuba diving resort on the 11-acre island of Turnoff Atoll. Turnoff Island Resort is now a premier dive destination. After over 5,000 dives doing research, charting, plotting, and establishing the dive business, Bennett left the tropics and found his way back to the United States. 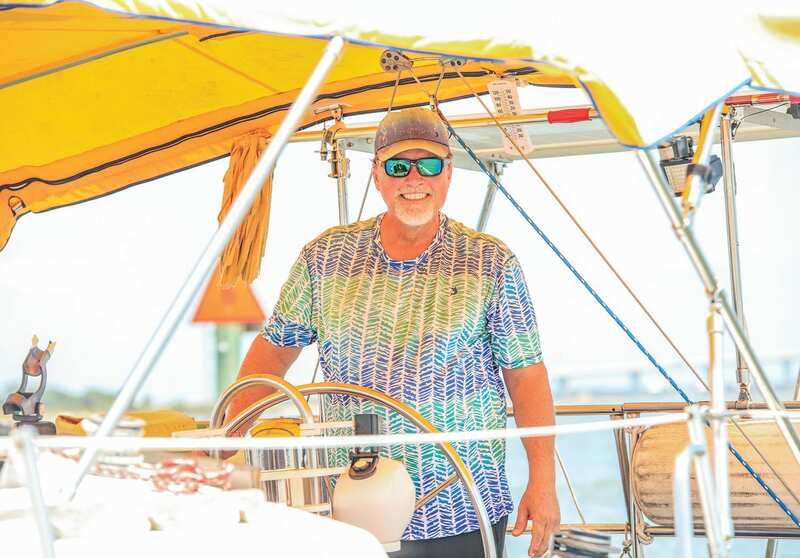 He took a job as a Port Captain and Harbormaster in Boynton Beach before relocating to Jacksonville and joining the corporate world for the next 20 years. Dave is a cancer survivor, having beaten Hodgkins Lymphoma twice, once at age 35 and later at age 40. 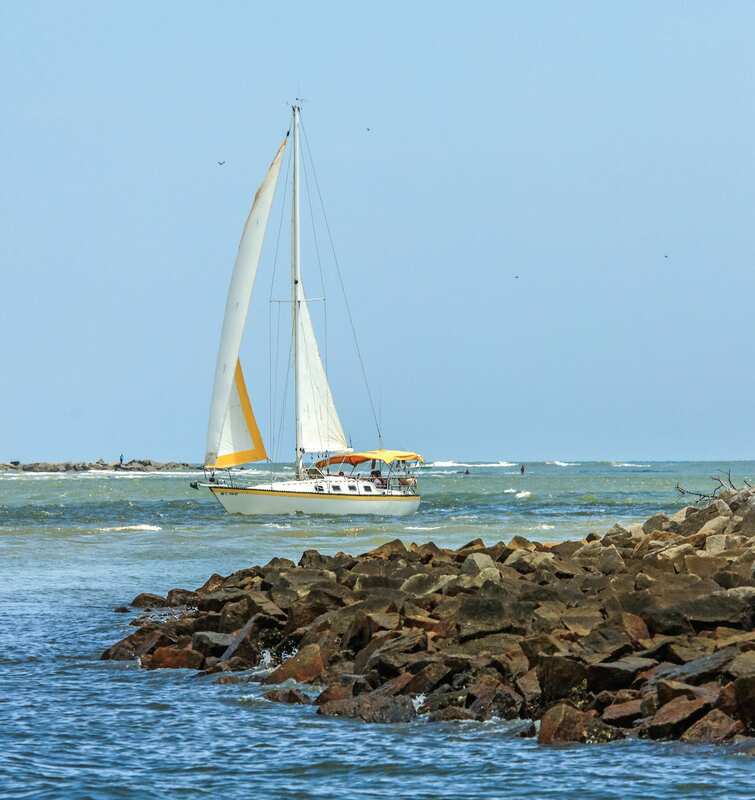 He left his corporate job, sold his house, bought a sailboat, and has been a full-time cruiser ever since. Dave is a serious sailor. We heard he recently sailed his 1981 Lancer sloop sixty miles offshore to go fishing and caught several mahi! Try that on a sailboat! He spent seven weeks on board his boat in the Bahamas last year, and raced in the Abaco Regatta, placing third in two of the races in which he competed. He is planning a four month trip as soon as funds will allow. TOP SPEED: “I HAVEN’T QUITE PUSHED HER TO 11 KNOTS YET,” SAYS DAVE. DAVE HAS CUSTOMIZED HIS VESSEL WITH AN EXTRA LARGE BIMINI TOP, SOLAR POWER, AND CUSTOM DESIGNED PORT SHADES THAT ALLOW THE PORTS TO BE OPEN IN POURING RAIN WITHOUT THE INTRUSION OF WATER.